You can't create paper crafts without paper, and these beautiful cardstock packs from WorldWin Papers will be the foundation for your upoming craft projects. With the help of the ColorMates Smooth and Silky Cardstock and Kraft Cardstock included in this mini collection, you will be prepared to begin any project of your desire. The ColorMates Smooth and Silky Cardstock in Fresh Cream is one of the 39 new colors WorldWin has launched in the last year. This brings the line up to 80 beautiful colors. All of the papers in the Smooth and Silky line are 80 lb. cover or more; the Fresh Cream happens to be 90 lb. cover. The smooth surface is fantastic for rubber stamping, and the weight is ideal for card making and scrapbooking. The paper has a solid core throughout, making it a great option for torn and deckled edges. This paper can also be run through an inkjet or laser printer. The Fresh Cream color is deliciously neutral, so it can be paired with almost any other colors for your upcoming projects. The yellow tint even makes it ideal for summer-themed projects. A model base for any upcoming project, the 12 x 12 pack of ColorMates Cardstock contains 25 sheets for your paper crafting pleasure. The Kraft Heavyweight Paper is a new weight for WorldWin in the Kraft line, which was recently expanded. The full Kraft line ranges from the lightweight paper and envelopes to heavyweight paper, lightweight cardstock, heavyweight cardstock (18 PT), lightweight chipboard (24 PT), and heavyweight chipboard (40 PT). The Grey Kraft Heavyweight Paper comes in 95lb text and provides the perfect neutral to your next paper project. The natural look is becoming more and more popular, and this Kraft paper is the perfect way to achieve that rustic, earthy appearance. Use it for the base of an upcoming project or run it through your die-cutting machine to create natural embellishments. This pack contains 25 sheets of 8.5 x 11 paper and will certainly come in handy for your next project. Bonus! 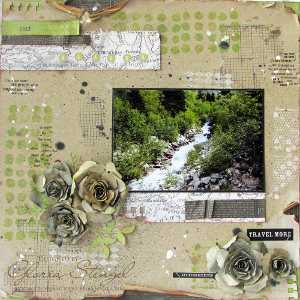 See an example of a project that uses Kraft paper in the Alaska Kraft Travel Layout! For beautiful new papers to add to your repertoire, consider these everyday papers from WorldWin. 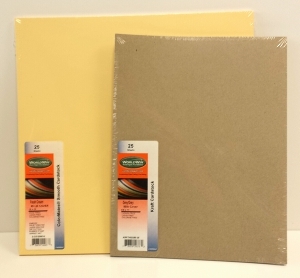 In perfect neutral shades and heavy weights for your projects, these papers are sturdy and ready for use.